I haven’t done a post for a while about one of my favourite Ukiyo-e print series. So lets have a look. It is print #35, Narai Station, currently Narai town in Nagano Prefecture. 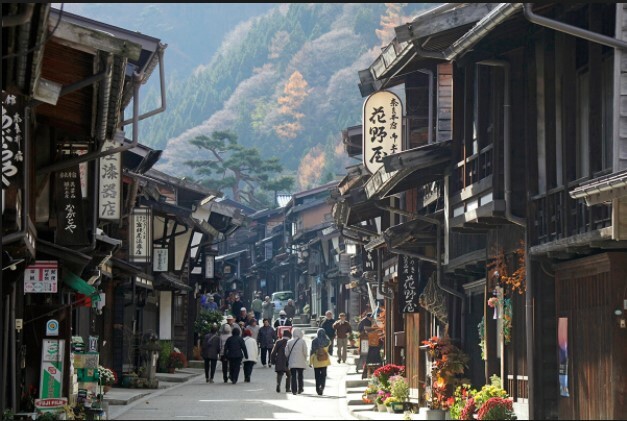 It is a beautiful little town in the Japanese Alps and it still has the old Edo period feel to it. It is a popular destination for travellers. 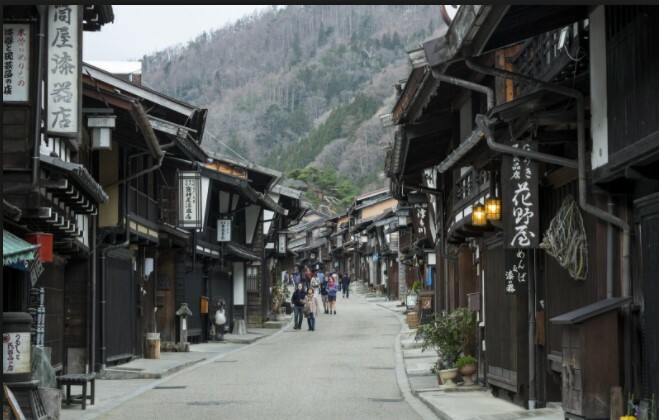 Narai Post Town was one of the major post towns which had a large number of inns (ryokan) where travellers could rest and recharge after climbing the Torii Pass. 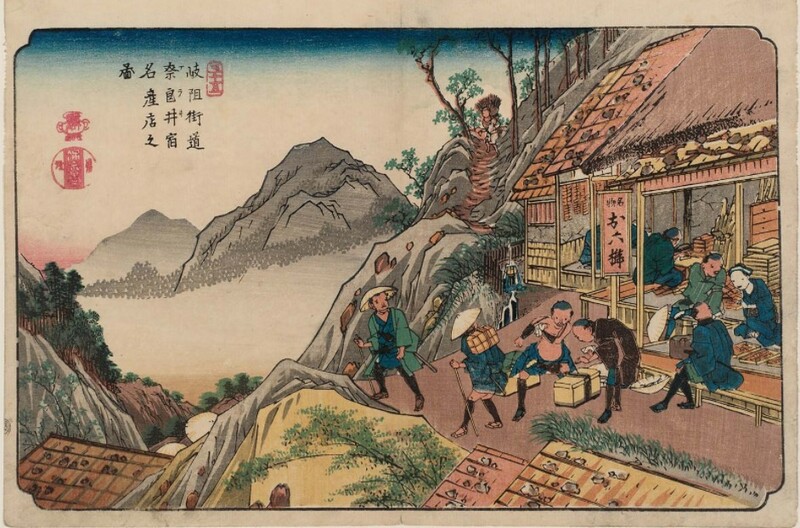 The print features a shop at the western side of the town as it shows the sacred Mt Ontake in the background. The shop look quite busy and the name of the shop is Narai Shuku Meisaiten no Zu. The shop specialises in combs which were a famous product from this region. There are a number of people in this print. We can see a lone wood cutter up on the dirt track just behind the shop making his way into town. We can also see one or maybe two craftsmen inside the shop. A number of traders and their assistants can be seen just about to make their descent down the side of the hill. A sales lady is sitting in the shop showing two customers their hand made products. And here are some photos I found on the net (not my photos), of Narai town as we see it today. Previous Post Himure Hachimangu, Omihachiman, Shiga. Next Post Tani Tateki – Kumamoto Castle defender during the Seinan War.